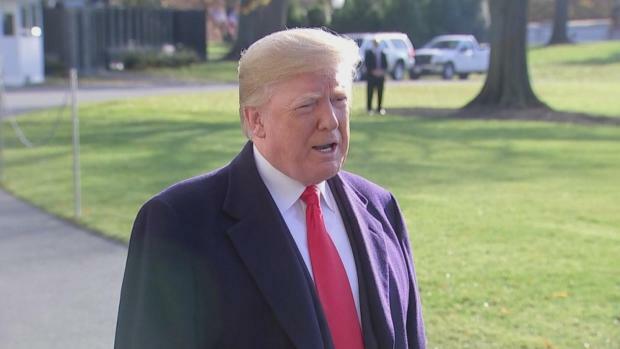 The president claimed that “a lot of the wall is built,” and he cited statistics purporting to show “it’s very effective” at stopping illegal immigration. But his figures correspond to those in a Customs and Border Protection video on various border security strategies deployed before he took office, from 1992 to 2016. And in most sectors Trump cited as successful, there is very little fencing designed to stop pedestrians. San Diego Primary Replacement Project (14 miles). So far, 9 miles of the project has been completed, and the rest remains on schedule to be completed in May 2019. El Paso Primary Fence Replacement Project (4 miles). So far, 2 miles of that has been completed, with the remaining scheduled to be completed in late-April 2019. El Paso Vehicle Fence Replacement Project (20 miles): Complete. El Centro Primary Fence Replacement Project (2.2 miles): Complete. Rio Grande Valley Gates (35 gates): In progress. Officials at Customs and Border Protection pointed us toa videoit published in February 2017 showing a shift in border strategy — and its effect on apprehensions — between 1992 and 2016. Many of the apprehension figures cited in the video correspond with the president’s. President Trump is denying he told one time personal attorney and fixer Michael Cohen to pay hush money to two women who said they had affairs with Mr. Trump. The president called the payments "a simple private transaction", not a violation of campaign finance laws, which Cohen is going to jail for. At one point in thefree-wheeling discussionwith the president, Pelosi attempted to steer the conversation to other issues — specifically the economy. But, in doing so, she made a misleading claim about lost jobs. Trump:Well, we have the lowest unemployment that we’ve had in 50 years. Drew Hammill, Pelosi’s spokesman, told us the Democratic leader was referring “to layoffs, such as GM’s layoffs.” General Motorsannouncedlast month that it would be closing seven plants and reducing its North American workforce by 14,000 people. Of course, layoffs happen even in the best of economies. But the fact is that the U.S. economy has added jobs for arecord 98 months, beginning in October 2010. During that time, the U.S. has added19.5 million jobs— including nearly 4.2 million since Trump took office in January 2017. Trump is also right about the current unemployment rate, which is 3.7 percent. That’s the lowest rate since December 1969, when it was 3.5 percent,according to the Bureau of Labor Statistics. Schumer:The one thing I think we can agree on is we shouldn’t shut down the government over a dispute. And you want to shut it down. You keep talking about it. The federal government partially shut down in January 2018 for three days, in large part due to Democratic efforts to protect Deferred Action for Childhood Arrivals recipients from deportation. “Senate Democrats shut down the government in hopes of striking a deal to shield 700,000 young immigrants from deportation,” asPolitico wroteat the time. Republicansand theTrump White House called it the “Schumer Shutdown,” because of the Senate Democrats’ demands. Schumer called it a “Trump Shutdown,” because the Republicans controlled Congress and the White House. 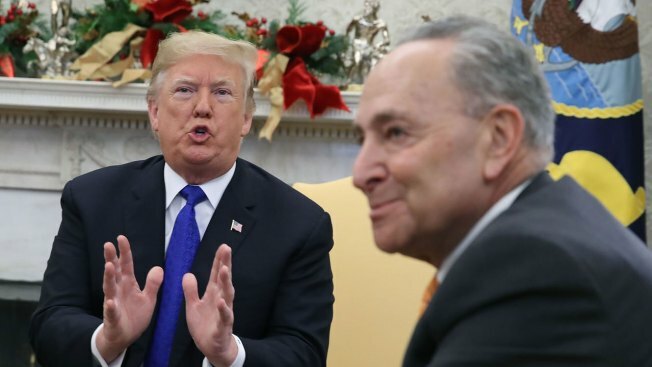 Shutdowns occur when there is an impasse between both sides, but most neutral observers saw the shutdown then as the result of the Democratic efforts, as Trump said. That’s what Vice President Mike Pencemeant to say in October insteadof this: “In the last fiscal year, we apprehended more than 10 terrorists or suspected terrorists per day at our southern border from countries that are referred to in the lexicon as other than Mexico.” A Pence spokeswoman later said he misspoke when he said the Southern border.